Say “Hoboken” to a New Yorker and Irish Bars (and rowdy ex-frat boys), quaint row houses, and the Path Train might spring to mind. 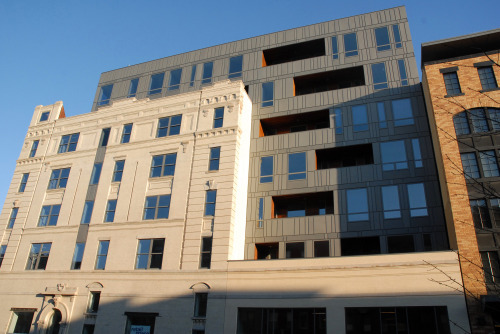 Thanks to the recently completed Garden Street Lofts (on sale now! ), you can add high-end green condos designed by name brand architects to that list. Designed by SHoP, the project incorporates new construction into an old coconut processing plant, and is expected to receive LEED silver certification. Garden Street Lofts gets lots of merit badges: adaptive reuse, urban infill, green features, good design in Jersey, etc. But it also bears a striking resemblance to an earlier SHoP project, the Porter House, at 15th Street at Ninth Avenue in Manhattan. Hoboken! It’s like the Meatpacking district, only farther west, and green, and with less expensive cocktails nearby. 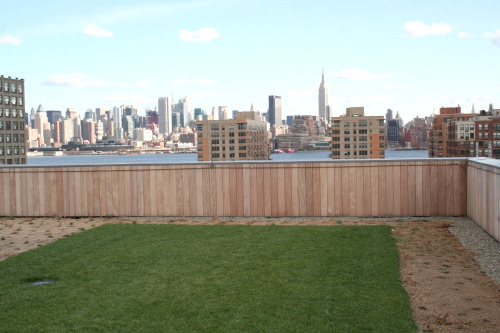 And the view from the green roof is better (at least until the High Line opens)!